Ireland does not figure into World War II as much as other European nations, but that does not mean that it played no role whatsoever. 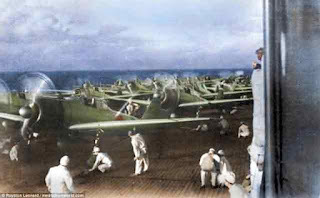 It suffered the occasional errant Luftwaffe bombing, and a lot of submarine activity took place just off its coast. However, by and large, you will not see much about Ireland in a blog like this. There has been anti-British sentiment in many quarters Ireland for centuries, that is undeniable. This can manifest itself in odd ways, such as the assassination of British World War II hero Louis Mountbatten in 1979. Another World War II impact was the fact that a number of Germans felt more welcome in Ireland after the war than they did in many other countries. 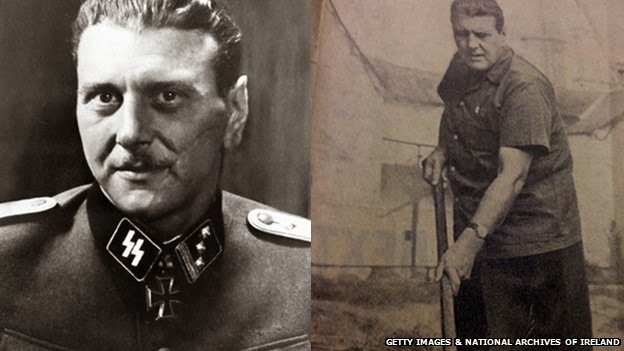 Historians of World War II know that Otto Skorzeny was Adolf Hitler's 'special projects' guy. He was a wartime celebrity and well known on both sides. 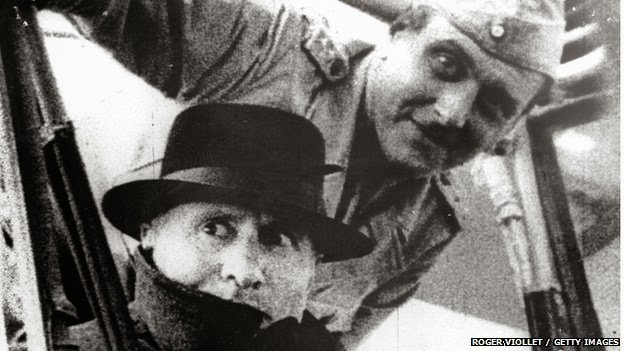 Skorzeny's most famous mission was rescuing dictator Benito Mussolini from his mountaintop prison in September 1943. Even Winston Churchill was impressed by this glider assault, terming the mission 'one of great daring.' Other projects came along, which Skorzeny executed with varying degrees of success. These included the kidnapping of the son of Hungarian Regent Admiral Horthy in October 1944 in order to keep Hungary in the Axis, and Operation Greif against the Americans during the Battle of the Bulge. 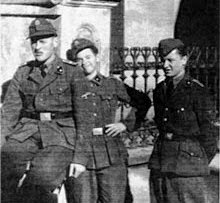 After undertaking one last project in Vienna during the last days of the Reich, Skorzeny - 'the most dangerous man in Europe' - was captured by the western Allies. Skorzeny flew a light plane onto a mountaintop to rescue Mussolini, who probably regretted being rescued a couple of years later. 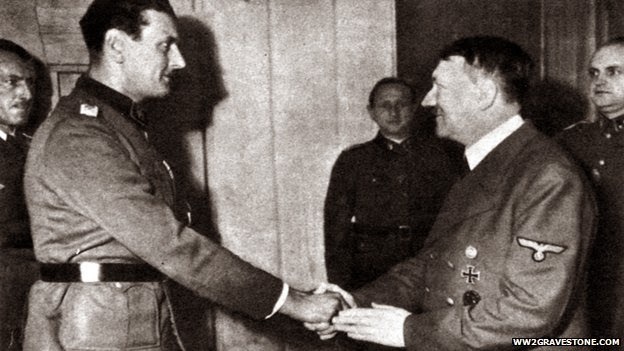 However, Skorzeny proved that he was indeed competent at secret missions when he engineered his own escape from an Allied detention center and found his way to Madrid. 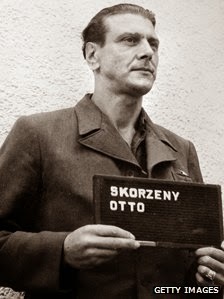 From there, under the protection of the Spanish government, Skorzeny became involved in more adventures, including becoming the bodyguard of Eva Peron for a while. Ostensibly, he was a simple businessman operating an import/export business. Rumors, of course, ran wild about what he might actually be doing. 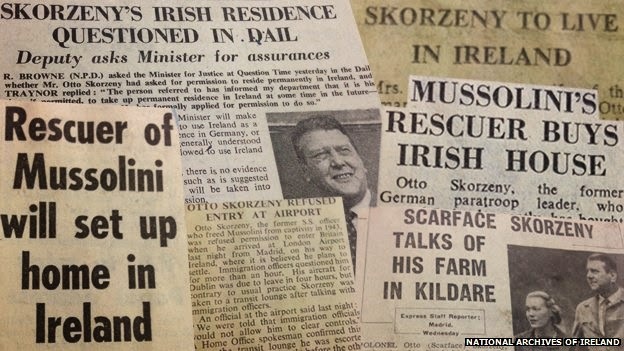 Skorzeny found his way to Ireland only in June 1957, when he accepted an invitation to visit Portmarnrock Country Club Hotel in County Dublin. Encouraged by the friendly reception he received there, Skorzeny bought Martinstown House and its accompanying 160 acres in 1959. He did not try to hide his presence, reportedly driving a white Mercedes into town to pick up supplies. However, he also did not mix much with the locals, which may have been partly due to the fact that he only maintained a part-time residence there. It's a bit unclear exactly how much time he spent there, as he maintained his residence in Madrid, but locals still remember his hulking presence. 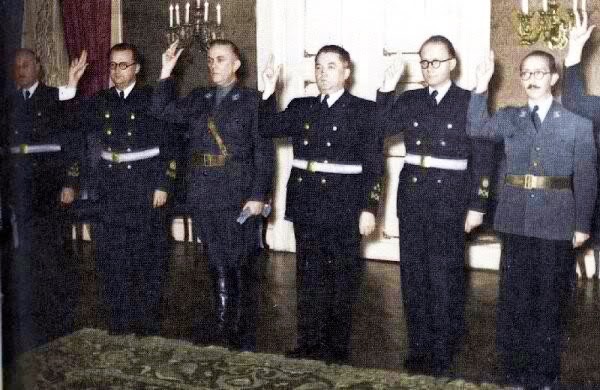 Eventually, certain members of the parliament (the Dáil) became concerned, they denied Skorzeny a permanent visa and he was barred from England, and Skorzeny ultimately passed away quietly in 1975 at his Spanish residence. An estimated 100-200 other former adherents to the Third Reich also found their way to Ireland. Albert Folens (a suspected Belgian collaborator), Helmut Clissmann (a member of the Brandenburger Regiment who had long ties to Ireland), Andrija Artukovic (Minister of the Interior in Croatia and the man responsible for the deaths of over 1,000,000 men, women and children in concentration camps), Celestine Laine (leader of the Bezen Perrot, a Waffen SS unit responsible for the torture and murder of civilians in occupied Brittany), Louis Feutren (a French member of the Bezen Perrot) and Pieter Menten (allegedly responsible for the deaths of hundreds of Jews in Poland) were among them. Their presence is a little more difficult to explain than that of Skorzeny, who, after all, was invited and was not actually a convicted war criminal. As mentioned, there was anti-British sentiment. Some Germans, especially in the days before war crimes and the Holocaust were widely publicized, were seen in a sort of romantic light, as fellow fighters against 'The Man.' Of course, not everybody felt this way, but enough did for some former members of the Third Reich to feel welcome. There is no indication that the Germans who migrated to Ireland caused any problem. By the 1970s, however, attitudes had hardened against the memory of the Third Reich, and if any former Party members remained in Ireland from that point forward, they maintained a very low profile.